Photo courtesy of Mary Hesler. When it came time for Mary Hesler — a lieutenant in the U.S. Navy — to choose a master’s degree program, she needed an option that would not slow her down. In more than nine years of service, the accomplished helicopter pilot has already journeyed throughout the country and far beyond. She has bounced between five states since graduating with distinction from the U.S. Naval Academy in 2009. Her first semester at NC State even included a stop in Mungyeong, South Korea, where she competed as a member of the United States’ sailing team during the sixth-annual Military World Games. This December, earning her master’s degree in aerospace engineering from NC State marks another milestone in a fast-paced career. For Hesler, finding a flexible, online graduate program was a necessity. “I was generally working much more than 40 hours per week. I was looking for a program that would work well for people with full-time jobs,” she said. Her brother, who graduated from NC State in 2014, vouched for the College of Engineering’s reputable online offerings and the flexibility they afforded working professionals. Once enrolled, Hesler was able to watch her lectures on her terms, fitting them in around a jam-packed schedule. 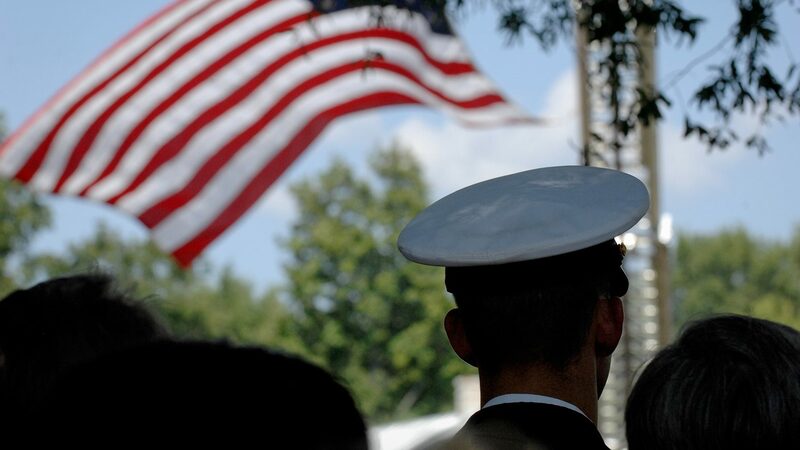 We have decades of expertise educating military personnel and veterans. “I often worked 11- or 12-hour days at my job that would bounce back and forth between day and night shifts, depending on the flight schedule,” she said. For active-duty students like Hesler, a program that combines a high-quality engineering education with the flexibility of online learning is appealing. She’s one of almost 60 peers in the military community currently getting their professional development through NC State Engineering Online. The convenience of distance education wasn’t the only benefit for Hesler. She was also joining a top-tier program. 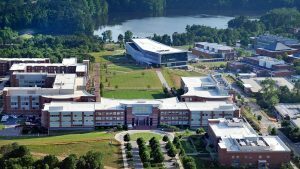 In fact, Best College Reviews recently named NC State’s online master’s in aerospace engineering among the ten best programs in the nation. 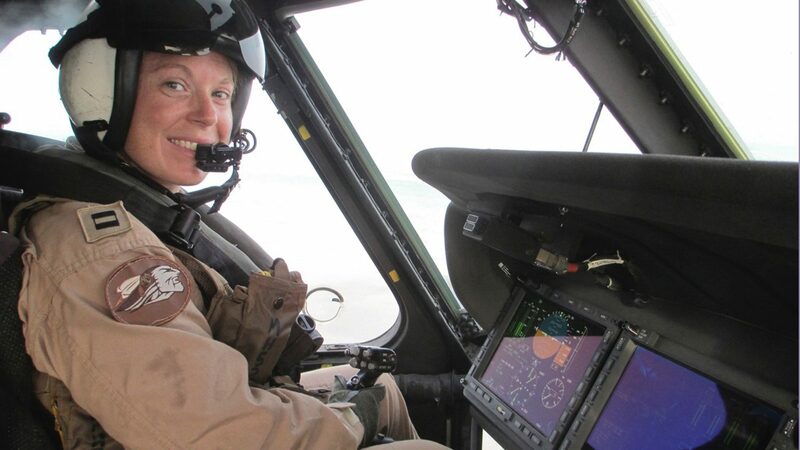 Though Hesler originally earned her undergraduate degree in mechanical engineering, her flight experience in the Navy sparked a newfound interest in aerospace engineering. “Luckily, the [mechanical and aerospace] programs at NC State are closely related, which made it nice,” she said. She counts her classes with Professor Ashok Gopalarathnam on airfoil theory, wing theory and applied aerodynamics among her favorites. In between the demands of her career and coursework, Hesler has a diverse array of hobbies to keep her busy — from riding motorcycles to tackling fix-up projects for her Norfolk, Virginia, home. She was also raised around water, taking her first sailboat ride at just six months old. Hesler even founded her high school’s sailing team and joined the dinghy sailing team at the Naval Academy. So when her best friend, Trish, introduced her to the Military World Games, it sounded like a natural fit. Held every four years, the event brings together military athletes from over 100 countries to compete in 25 different sporting events. Mary Hesler poses with her teammates at the Military World Games. Photo courtesy of Mary Hesler. 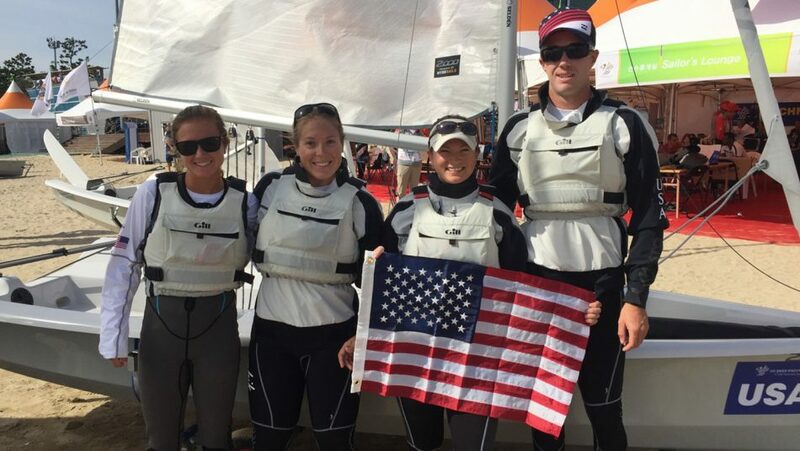 Hesler became one of four active-duty military personnel on the United States’ sailing team. She competed in Korea in October 2015, finishing 11th in the co-ed two-handed sailing competition. “The experience of representing my country at a sporting event was incredible and something I will remember forever,” she said. With her master’s degree soon in hand, Hesler is looking forward to her next step. She’s been selected for a promotion to lieutenant commander in September 2019. She’s also on track to be considered for department head and executive officer of a helicopter sea combat squadron. For now, she’s already discovered applications of her master’s degree in her day-to-day life. I’m hoping my master’s degree will allow me to make more informed decisions on what is best for our Forces. Working closely with government contractors and outside vendors, Hesler determines what technology will benefit the military going forward.